Content marketing seems to be all the rage in 2013. Forget about Google rankings and start churning out content. plenty of scrapers still dominating the first page. Google certainly knows how to stir the water, doesn’t it? With all this content frenzy, guest blogging is taking more of a spotlight than ever. Of course, the sky would definitely fall if we actually agreed on whether to give it thumbs up or down. As a result, guest blogging has been taken to all kinds of extremes. Some blogs want even more guest posts, hoping to increase their rankings by publishing fresh content often with not so much focus on the quality. Some, on the other hand, decided to close their doors to accepting guest posts altogether. Darren Rowse of Problogger.net called it an “evolution”. Now I might actually consider reading those blogs again. Guest Blogging is a Doozy? It just means that the wheat is being separated from the chaff. It means that writing quality guest posts is more important than ever. It also means that the resulting traffic, links, credibility, and authority would be of much higher quality/quantity than ever before. And you have to become a smarter and better guest post writer than ever before. It might surprise you to know that I am not a great guest blogger.  Sure I can write killer posts for Traffic Generation Café. However, writing a successful guest post for another blog? The kind of guest post that gets accepted, published, well-received by their readers, generates great response, results in traffic and brand recognition, PLUS doesn’t take a week to write? This is unchartered territory even for me. So how do we become successful guest post writers? For me, the answer was easy: turn to the one blogger who wrote 80+ remarkable guest posts for some of the major blogs while spending about 2 hours on each post of 1,200 – 1,400 words. …doing nothing but guest blogging. For the past week, I’ve been studying Danny Iny’s Write Like Freddy guest blogging course and here’s the skinny. Danny Iny is the Freddy Krueger of blogging. What do you need to do to earn such a cool nickname? That’s exactly what we felt like when Danny decided to take the blogoverse by storm in 2011 – wherever we turned, he was there, sharing his amazing insights in guest posts on what seemed like every major blog around. In the process, he discovered a very effective guest blogging formula that got his posts accepted and published with ease. And so Write Like Freddy guest blogging course bootcamp was born. 1. Who Is Write Like Freddy For? … even if you are not a great writer. Does it sound like you so far? 2. What type of learners is it best for? plus several checklists for each module. So whether you prefer to watch or read, Write Like Freddy leaves you with no excuse. Do you know when you should post on your own blog vs on other blogs? How do you choose which blogs to guest post for based on the desired results (traffic, credibility, or relationships)? How do you find the best “blog clusters” to write for for the maximum impact? What on earth is a “blog cluster”? Publish several guest posts on several core blogs within the same week. Identify the best “blog clusters” to group guest post into – that way you’ll get the maximum effect of “being everywhere”. The topic. The angle. The headline. The pitch. Get any one of them wrong and the rest of your hard work might go down the drain. The key to writing a great post is to find what the readers want, then write about it. 80% of the most popular posts on any given blog are usually about the same 2-3 topics. Finding the right topics are half of the battle. Turns out that the post topic and the post angle are two different things. Topic is the high level subject of the post. Angle is the specific value offered by discussing the topic. Share ONE key insight per post. Research what headlines work best for that specific blog. Find the pattern and follow it. To get a sense of my writing, you can check out FirepoleMarketing.com, or my recent guest post on Copyblogger – it got over 200 comments and 900 tweets. This template will help you to pitch your guest posts. The nuances (will have to find out what they are for yourself) that make the difference between having 50% of your guest post proposals accepted vs 90%. Quick tip: DO pay particular attention to the last paragraph of your proposal; Danny will explain why. It was extremely interesting to see Danny’s logic behind coming up with the right angle/headline for a successful guest post. His is a very logical process that makes sense and I can definitely see why it works. And going through Danny’s proposal template was priceless. How to polish it until it shines. Since this goes to the heart of why we don’t guest blog nearly as much as we should or not at all, I paid particular attention to what Danny had to say. I just watched in awe how Danny outlined an awesome possible guest post off the top of his head. I had to go back several times and watch it again and again just to get a glimpse into how he thinks. If you are thinking “Sure, it’s easy for him – he’s a great writer!“, I am with you. However, I also know better than to avoid guest blogging because of a silly excuse that has no merit. Whether you are Danny Iny, or Ana Hoffman, or YOU. And now the rubber meets the road. Our guest post is out; it’s time to get all we can from it. How do you build relationships with your peers by guest posting on other blogs? Danny’s strategy of linking out to other blogs is simple and brilliant. I’ve been fortunate enough to be on the receiving end of it a couple of times lately and I’ll tell you: there’s no better way to build a strong relationship with another blogger than this. Learning how to guest blog for maximum benefits is one thing. Having a support network to hold you accountable and help you improve your writing skills is priceless. The alumni promotion network is for “Write Like Freddy” students who are going all the way. The network is there to critique your work, promote your posts, and help you out. And it’s all free for the current members of Write Like Freddy. Ready to become an exceptional guest blogger? I was hoping you’d say yes. 1. Join Write Like Freddy. 2. Study Danny’s guest posts. Remember that part where you were thinking you weren’t that great of a writer to pull this off? And remember that part where I said “practice makes perfect“? Perfect your newly acquired guest blogging skills by studying Danny’s guest posts. That’s the best way to learn how to write such remarkable guest posts in such amazingly short time: under 2 hours. It goes without saying that you can apply the same writing principles when writing for your own blog. Enough of those dry posts that no one wants to read, right? 3. Start pitching your attention-grabbing headlines. Remember, you don’t have to have the post written before you approach other bloggers. A perfect headline is all you really need. Use this to fight your procrastination and all the reasons why you can’t or shouldn’t do guest blogging right now. Coming up with a great angle for your future posts and a headline to go with it is a far lesser commitment on your part than being ready with the entire post. Once you pitch the headline and get the nod from the other blogger, you’ll have no choice but to write the post. That’s what I call a “positive constraint” and it’s the best way to ensure things get done. What if English is not your first language? This is another thing I want to address with those of you who use this excuse to not write guest posts. Well, it’s not mine either! You don’t hear me complaining about it, right? To help you with spelling, grammar, punctuation and sentence structure, use language software like WhiteSmoke. Where there’s a will, there’s a way, right? Those guest posts won’t write themselves! Thanks for the review! I am considering taking the course now. How many weeks it runs? It’s 4 weeks long, but I think you can get access to everything right away. I don’t like email requests anymore because they are from people that are not regular readers of my blog. How can they relate to my audience? But regular readers who have something to add is another thing. I looked at guest blogging, but did not see much value in it, unless your able to get accepted by a high ranking blogger like yourself. But looking at the graph with a steady stream of post coming in, I can at least see the merit it has. For me personally it’s enough to keep up with my own post let alone work on someone else’s blog. I do understand the time issue, Mike; however, the potential return is too great to ignore. Wow. A lot of great information here. It does take a relentless pursuit! Nothing less will do it. I have always feared of going forward to write a guest post as I thought I don’t have enough experience. You have made me realize that practice makes us perfect and I am gonna follow your advice to pitch into writing guest posts from now on. I hope I could contribute something useful to your blog as a guest blogger. 🙂 Thanks for these modules and this superb post. I’ve been turned down before, Vicky; it’s all a matter of learning from experience and writing better next time. Nice post Ana! I think guest posting is in danger of becoming the new “quick fix” SEO tactic this year. However if you use it wisely, and select your target sites based on more than just PR, you can see some awesome results. I recently wrote a post about how to get your guest posts published on some of the best blogs in your industry. I doubt it that anyone fix guest posting is a quick fix to anything, Matt. Most of my posts are between 1K-2K words. Sometimes even more. For some people, this is too much. But I feel that those are more likely to get ranked, shared and they create loyal readers. I was used to write 3-5K words reviews on the Tech Industry before. SO going from there to 1-2k posts for me was easier. Those took me sometimes 2-4 days to finish, depending on the tests, photos and everything I had to do. I am all for long post, as long as they provide value and have no fluff. Basically, I’m now appearing on page 1 on Bing and Yahoo, and I’m almost there on Google too. Can’t wait to see next week results. but this last week was pretty hectic and I spent my small left time on the Scarcity Samurai Review (which I guess you already have). Yes, I remember reading your post, Servando. This definitely is not a 2 hours post. Plus, I saw a previous guest post on your blog where the guest author wrote about generating traffic through relationship building with leaders in the industry like yourself. In no way, somebody could write that kind of post or even this one, in two hours. I believe, it might have taken a couple of hours for you to jut format it to make it look it’s best before publishing. Anyhow, your article is awesome. I always find your post very valuable full of quality details about the topic and therefore, I keep coming. Thank you for adding value. I never said this was a two hour post, Kumar. I said I was learning how to write two hour GUEST posts. There’s no reason why we can’t have both, Monja – great content on our blogs as well as great guest posts floating around the blogosphere. As a matter of fact, that’s the only way it can work; can’t have one without the other. effectiveness for both sides if done right! Ana, very inspiring piece about writing guest posts and timely for me as I have 2 to do in 3 weeks. I have them in my head but I must get them typed up soon. I will definately have to check Danny’s out and how he did that is amazing. I try to write longer posts when I do guest posts. The same for my guest posting, I usually get asked by others bloggers so I haven’t had to email anyone. I think a relationship needs to be in place first. Would you agree or not? And yes, I think building a relationship with the blogger prior to approaching them with a guest post pitch could be of great help. I often turn people down if I don’t recognize their names. However, if I know they are a reader of mine, I feel the duty to at least take a look at the post. Well this is really a motivational post. Guest posting is the best way to get targeted traffic, indeed. Moreover i totally agree with you that headline should be catchy, because it can attract the visitors to read the whole post. Hey Ana, I just wanted to pop over and thank you for the endorsement, and the detailed write-up – there’s a ton of value f0r people in this post, and I really appreciate your showcasing what Write Like Freddy has done for me, for you, and will do for others, too! Thanks for doing all the work, Danny; it’s my pleasure to pass it on to my readers. Guest blogging is definitely one of my favorite ways to drive traffic and build an audience. I’ve done it only a few times over the last year or so but every time I do do it I get a spike in sales and subscribers. The last one I wrote resulted in over $300 in income and over 100 new subscribers. I just have to be more consistent with it. Why is it that most bloggers know that guest posting can be very profitable, yet still don’t do it? Got a tweet earlier today from another blogger saying wait until you are ready to approach your targets with a guest post pitch. I enjoyed this article and have been reading about Freddy cougar. Just under 2 hours is a great sales pitch. It may be the next tool on the list. I, and I suspect many other bloggers, am at the stage where I just delete requests to guest post on my blog. There seems to be some sort of industry out there where a personable and articulate person emails you and tells you that he/she has a strong background in the topic that your blog focusses on . They would love the opportunity to guset post with you. At first I was silly enough to show interest and would be sent a mediocre piece of content that was definitely not written by the person who originally contacted me but by someone who was clearlynot writing in their native language (and was obviously not using your software reccomendation Ana). I just felt insulted that someone would feel I was stupid enough or desperate enough to accept a post like that. And I resented that time that I wasted on the whole communitation process. I know exactly what you are talking about, Karen; some SEO companies have certainly turned guest blogging into spam link building. I used to feel obligated to respond to them, but now I don’t even waste the 30 seconds it takes to type up a simple “no, thank you”. I asked Danny about this the other day because this guy (or gal.. I’m still not sure) pitched me on behalf of his “client,” then when I agreed and asked for his contact information, he admitted that he and his client are one and the same. Strange thing was that he wasn’t interested in links. I still haven’t taken the mediocre post off my publishing schedule, but I don’t get it, and if I don’t get it by tomorrow evening, off it goes. Great review! I know Danny took the blogging world by storm a couple years back. It’s nice to see how he did it. It’s funny to see the topic of guest posting discussed. It’s one of those topics that’s very polarizing. Some people love to guest post, others are scared to death of getting rejected or writing a post that flops. Some people openly accept guest posts on their blog, while others won’t let somebody else touch it for anything. I guess I just don’t get all of the negativity. If somebody submits a post that the blog owner doesn’t like, just say thanks, but no thanks. I don’t see how it’s that big of a deal. As for being afraid or too busy or any number of other excuses that prevent somebody from writing a guest post, they need to get over all that, too. Every facet of life comes with rejection and failure. You either acknowledge that and use it for your learning and growing, or you try to avoid it and in the process avoid experiencing some great things in life. I’ll be writing some guest posts this year. I like the idea of being seen on other blogs, plus I know it’ll be rewarding to write something that somebody else feels is valuable enough to publish on their blog. Thanks for sharing, Ana. I’m going to have to take a look at Danny’s product. It sounds like a winner! I hope you have an outstanding weekend! I’m really excited that you’re making more attempts to monetize your blog – you 100% deserve it and I hope you get plenty of affiliate sales from this post because you’ve given away some great information. This is your year! I’m excited about doing more guest blogging this year and have learned a lot from Danny. It’s AWESOME when everything clicks about building an audience. I wish I had that revelation yearrrrrrrrrssss ago. I’m looking forward to seeing how your year goes and the strides you make with this blog and guest blogging. Very kind of you, Jeff. These are good modules for guest blogging but how long did it take to write this post. Was it under 2 hours? By the way your article on Akismet was great. I won’t be able to ever write a post for my blog in under two hours, Jai. However, for a guest post, I can definitely do it. I’ve been taught the other way around by Jon Morrow. He insists that your best stuff should be on bigger blogs. As a result, when I pitch someone to publish a post of mine, its usually something that has taken me a couple of days… in one case a couple of weeks! Ana normally I am very lazy when it comes to writing guest posts and on top of that I am waiting for the Google’s Guest Posting blog penalty. Other than that you really elaborate the topic nicely. I wouldn’t worry so much about a Guest Posting blog penalty. The joy of guest blogging is that it helps you escape from the reins that Google has your content and puts it in front of established audiences. Go forth Mohsin and guest blog! I stopped accepting unsolicited guest posts last year because of the poor quality of the ones I received. I do however ask/solicit certain bloggers to write a guest post because I like their blog and their writing style. Sometimes even do a guest posting swap. You write one for me and I write one for you. I am not a fan of sites that are primarily guest post driven. The occasional guest post is fine, but I would rather read words written by the blog owner. Writing quality guest posts is definitely where it is at now. I think making guest posts more personalized rather than generalized is the key. We all know that Danny has a done a great job of mastering the art of guest posting. I know exactly what you mean, Justin – most guest posts that are submitted to me are a waste of my time. I barely ever accept them these days. Sounds like this program would be a great investment. Once I hit enough profit from my site I will want to learn more from the program. Still working on making that capital though! Always smart to avoid spending money you don’t have just yet, Ed. You have switched your sidebar again. Also, Thanks for this detailed review. Danny is a great guest blogger. I have used his template to get my post on ProBlogger Kikolani and many other blogs. He is really a great blogger. Again? 🙂 Just the second time – testing to see if the conversions go up or sugger. I know that this is the 2nd time. But please tell us the results. I just switch it, Ahmed; no stats to share yet.